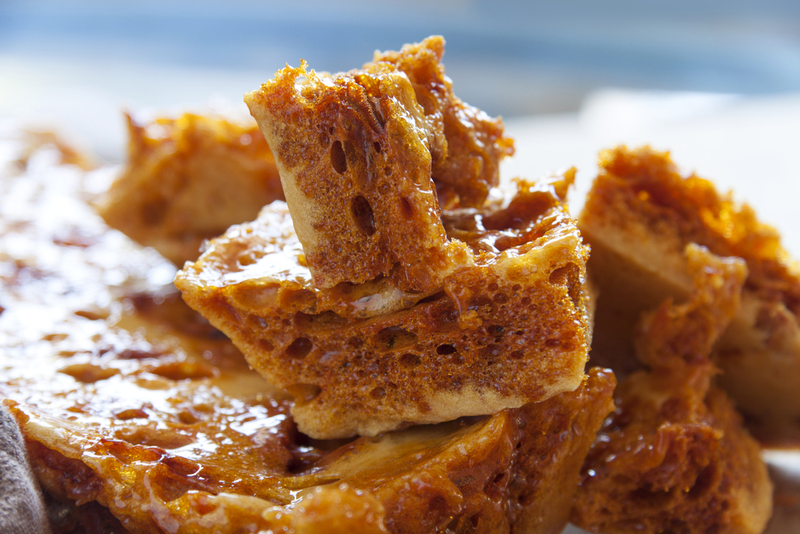 Enjoy homemade honeycomb as it is, or dip pieces in melted chocolate or crumble over your favourite ice cream or dessert. Take a large baking tray and give it a very light coating of cooking oil. Bring the sugar, honey, and water to the boil in a medium saucepan, stirring constantly. Quickly and carefully pour the mixture onto the baking sheet but don’t spread it. Let it cool for about 5 minutes and then break into pieces.